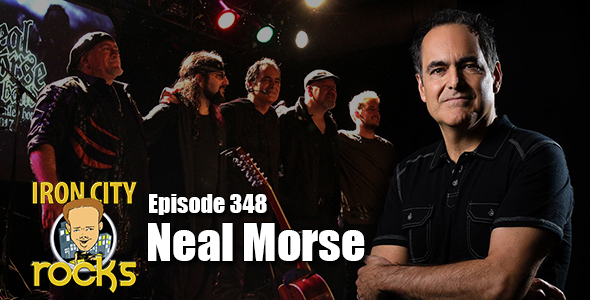 In Episode 348 of the Iron City Rocks Podcast we welcome the Neal Morse Band, Awake at Last and Dead Boys. Neal Morse joins us to talk about the bands epic 2016 release The Similitude of a Dream. We discuss the live show, the process of writing such a complex album and also talk about how these artists juggle their hectic schedules to carve out time to write and tour with various bands. We introduce you to a band out of Dover, Deleware name Awake At Last. Vincent Torres joins us to talk about the bands latest EP, Life, Death, Rebirth. Vincent talks about the bands positive lyrics, their DIY spirit, marketing their band and their touring plans. We then had the opportunity to talk with Cheetah Chrome of the punk band Dead Boys. Cheetah talks about their soon to be released re-recording of the band’s debut album to be titled Still Snotty: Young Loud And Snotty At 40.